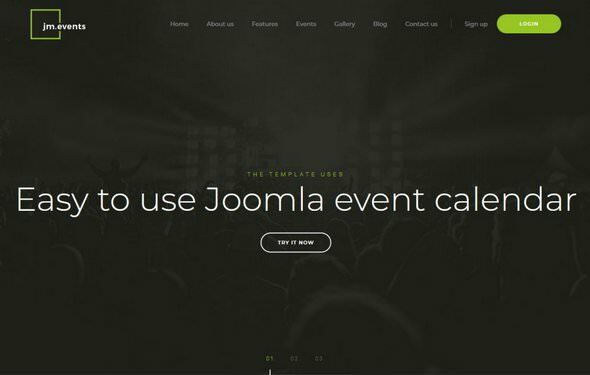 It's excellent responsive Joomla event template for successful events management website. This beautiful event website template uses free Joomla event calendar extension that is available for free download at our sister company of Joomla extensions. The events management system also allows submitting events from the front end so you may allow people to add new events to your website, verify them and publish. Moreover, you may use many user-friendly Joomla events modules like advanced events search, events calendar or events tags Joomla module.